Sometimes starting from scratch is the best option. 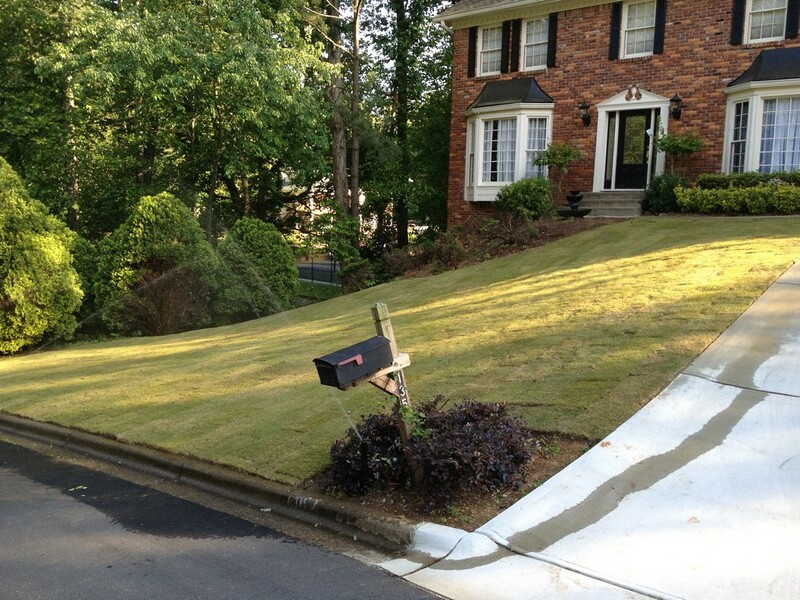 That’s where lawn installation comes in. 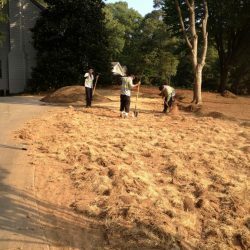 When weed and disease infestation destroys a neglected lawn or turf, the best remedy is often to completely start over from scratch with lawn installation via sod. 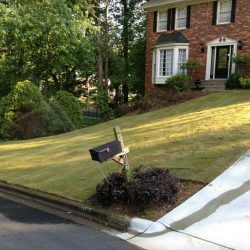 While this approach may seem a bit intimidating, our WeedPro® Lawn Care professionals will manage the entire process from start to finish, achieving a luscious green lawn in no time that will require minimal lawn maintenance. 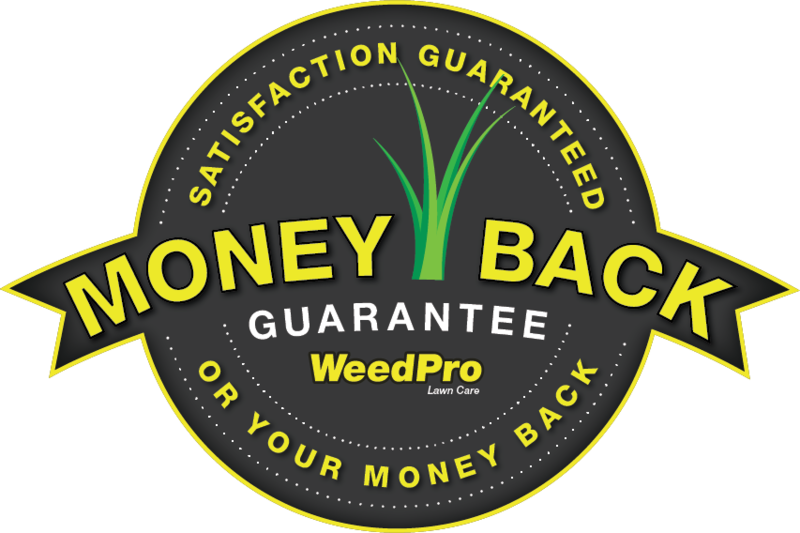 First, our WeedPro® Lawn Care-certified professional will evaluate your lawn and help you determine which option will best suit your site, budget, and goals. Based on technical information gathered from your site such as sun rotation, current soil health, drainage directional flow, and irrigation requirements, we recommend a plan of action submitted for your approval. 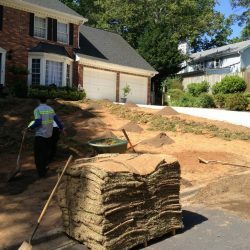 Once approved, our team will remove your existing lawn or weeds, prepare the soil for planting (which might include soil amending with biofertilizers), and rebuild your turf area with new, healthy sod — it’s that easy! 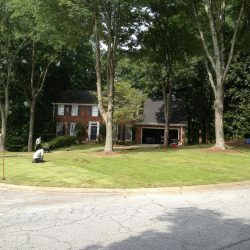 Sod is an overnight remedy to attain an instant, beautiful lawn. 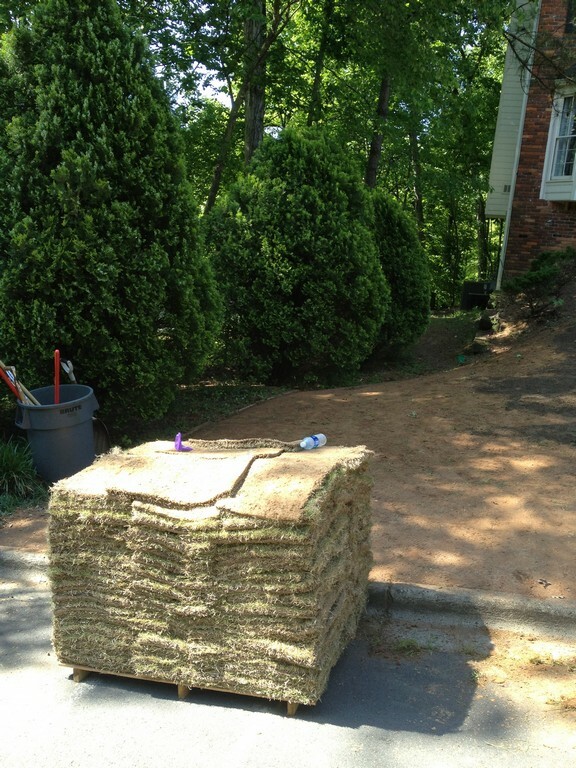 In general, sod is less susceptible to weeds than traditional straw-seeded lawns, which translates into fewer issues overall. 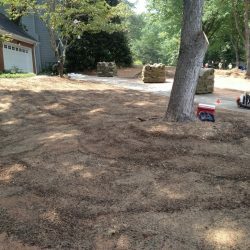 Moreover, it provides a finished look without the wait, so your family can begin enjoying your new lawn within only a few weeks of lawn installation. 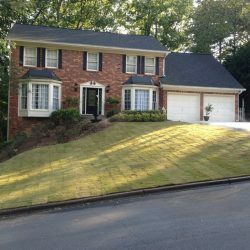 Bermuda grasses are the most popular and durable turf grasses for lawns, athletic fields and golf courses in the Southeastern United States. Specifically, the overall superior performance of Tifway-419 Bermuda makes it the most preferred turf choice within the Bermuda grass family. 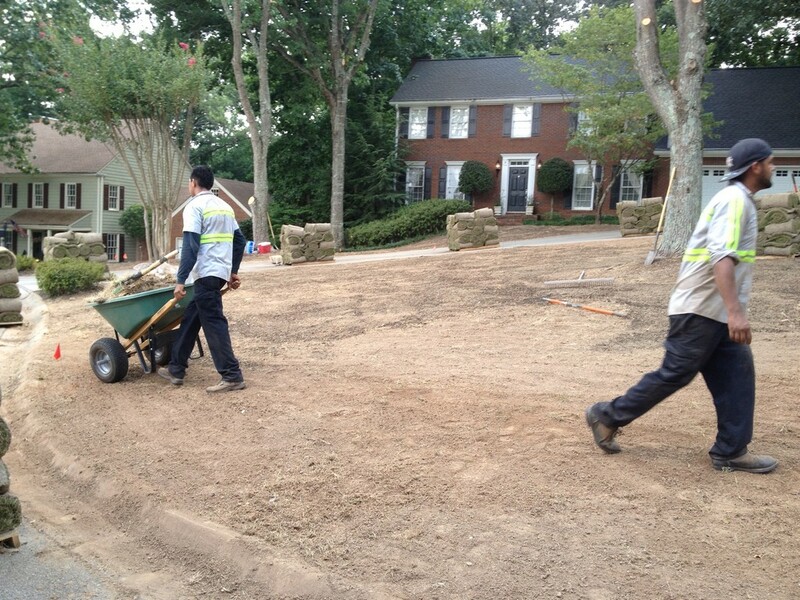 Tifway-419 Bermuda is a warm season turf that grows most actively from spring to fall in the Southeast region. For optimum performance, it requires 4-5 hours of direct sunlight daily and its excellent growth rate facilitates good durability and quick recovery. 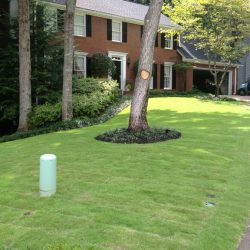 When fertilized properly, it produces a bright green color in season and performs best when mowed and maintained between ½ to 1-½ inches. Zeon Zoysia is an excellent variety that is fast becoming one of the most popular varieties on the market today. Zeon is compatible with a wide range of soil conditions and has a faster rate of spread compared to other Zoysia varieties. It can handle full sun or light to medium shade with good drought tolerance and very few insect or disease problems. 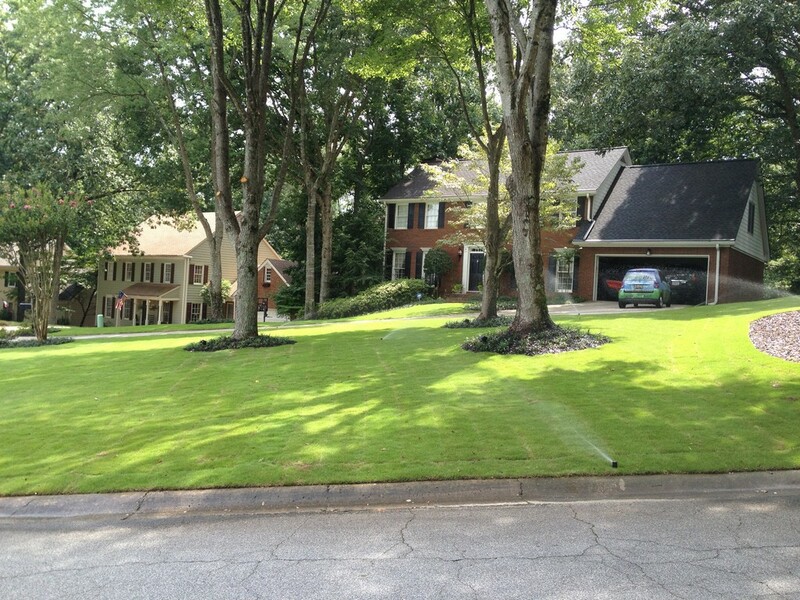 Zeon creates a deep green color and produces a very lush turf. 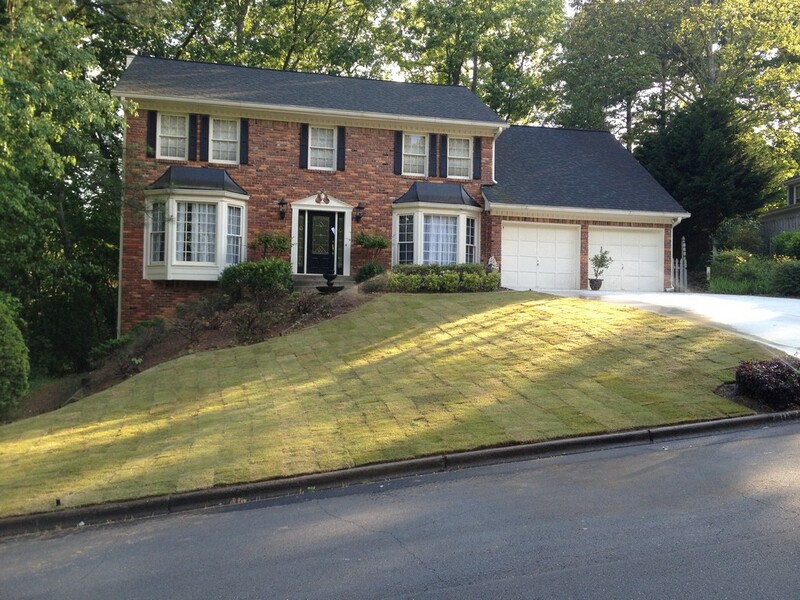 Meyer Zoysia is a slow-growing, warm season turf that produces a rich, dark green color with proper maintenance. 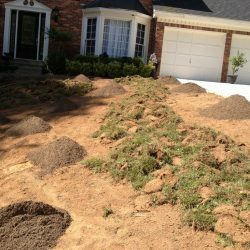 Meyer Zoysia forms a dense turf that limits weed encroachment and performs well in areas of full sunlight to partial shade. Its moderate tolerance for shade allows for good performance in filtered, limited sunlight. 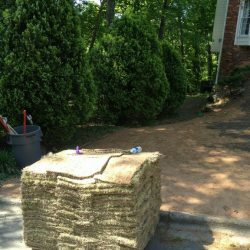 The overall appearance and adaptability of Meyer Zoysia makes it an excellent choice for residential and commercial locations. 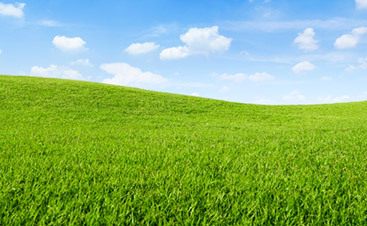 Moreover, its slow growth rate and relatively low nitrogen rate can both result in less mowing. 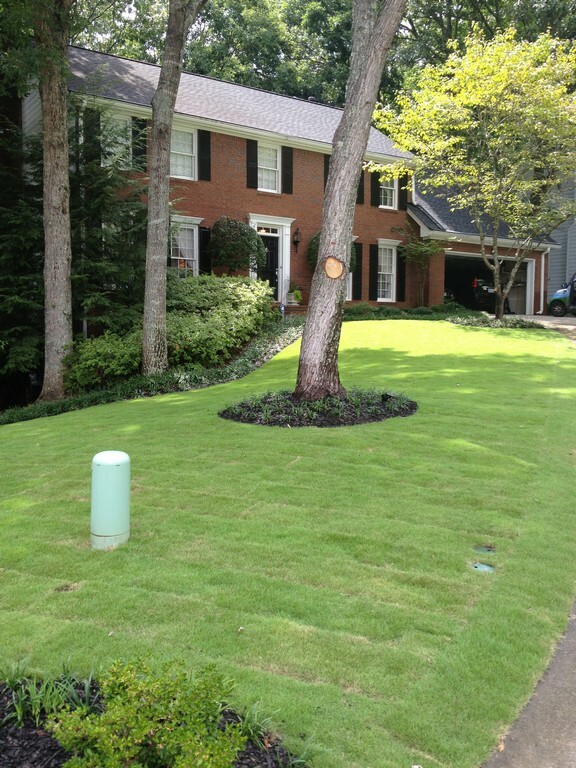 When mowed and maintained between ½ to 1-½ inches, Meyer Zoysia will produce healthy, attractive turf. 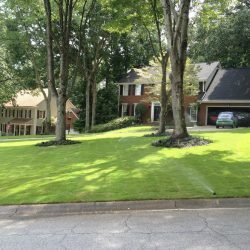 Tall Fescue is a medium leaf, dark green, cool season turf-grass best adapted to cooler climates in the Upper South and at higher elevations. 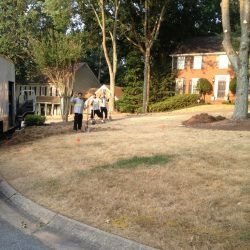 Our trained professionals will help you determine if Fescue sod or over-seeding is an appropriate solution for your lawn. 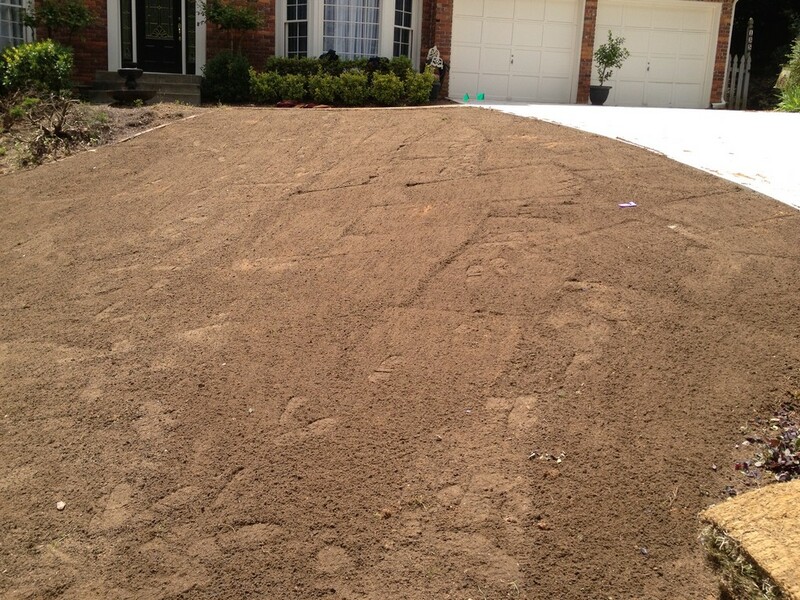 Soil preparation is the foundation to achieving the best results in your turf areas. 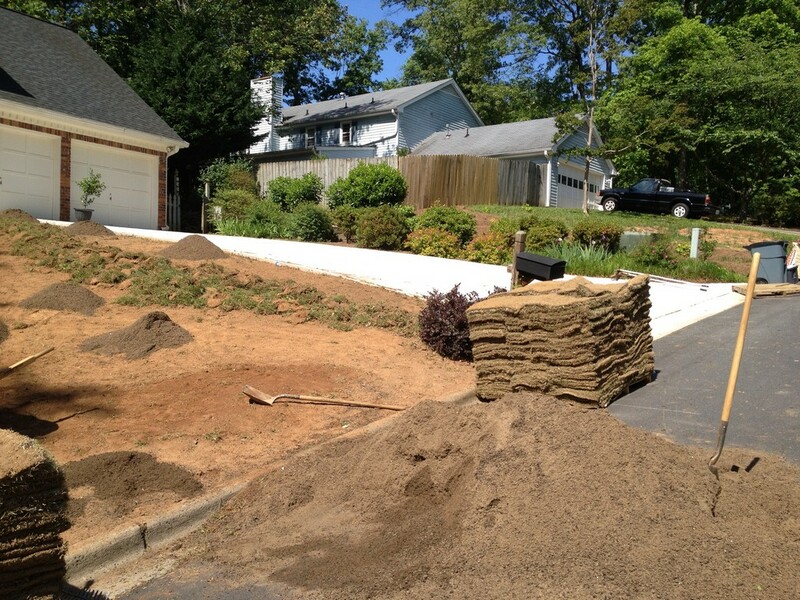 Grade, soil profile, and soil compaction are the main factors considered when preparing soil for sod installation. 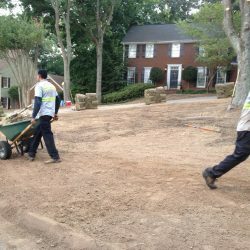 Proper soil preparation will enable your turf to develop a deeper root system, which in turn, facilitates greater drought tolerance and more efficient use of nutrients and water. 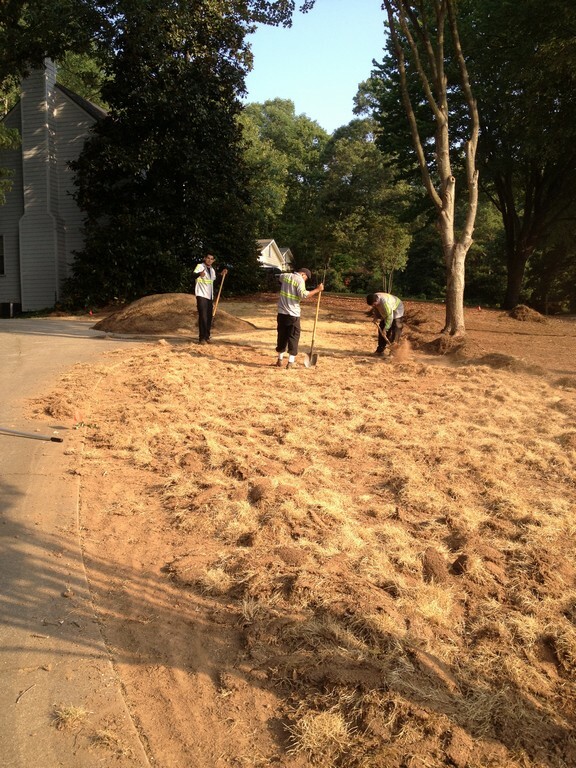 With these initial preparations, new turf areas have the foundation to reach their full potential. Kill existing vegetation by spraying the area with a non-selective herbicide or organic weed control herbicide two weeks before planting. 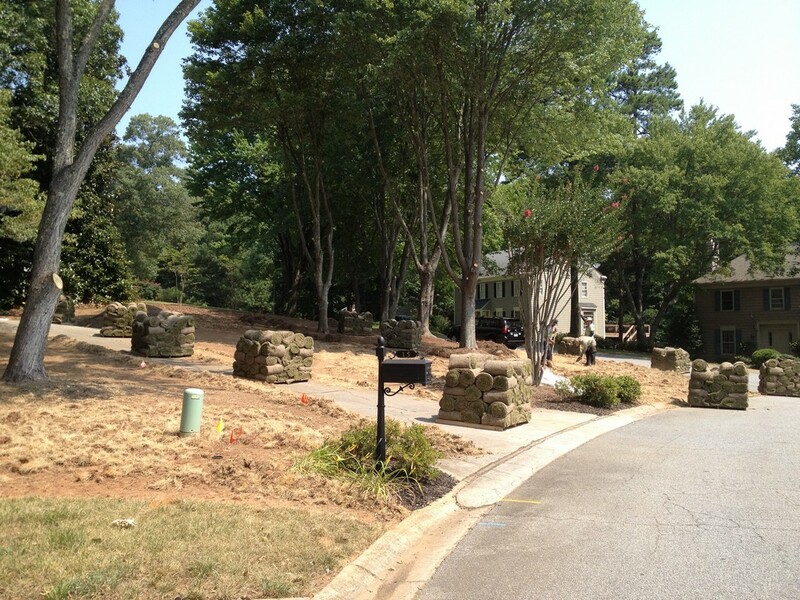 Grade area for desired slope and drainage. 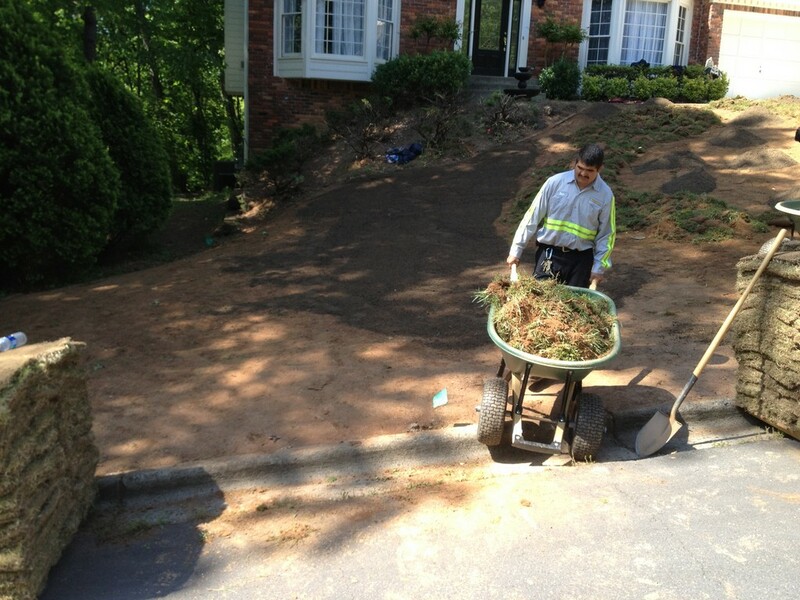 Till soil 4-6 inches and rake smooth to remove rocks, clumps, and debris. 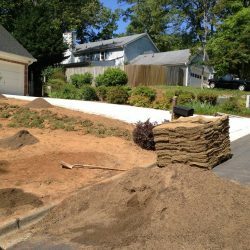 Mix in sand and/or topsoil to heavy clay soils to improve soil profile. Roll area to reset soil and to reveal any low areas. 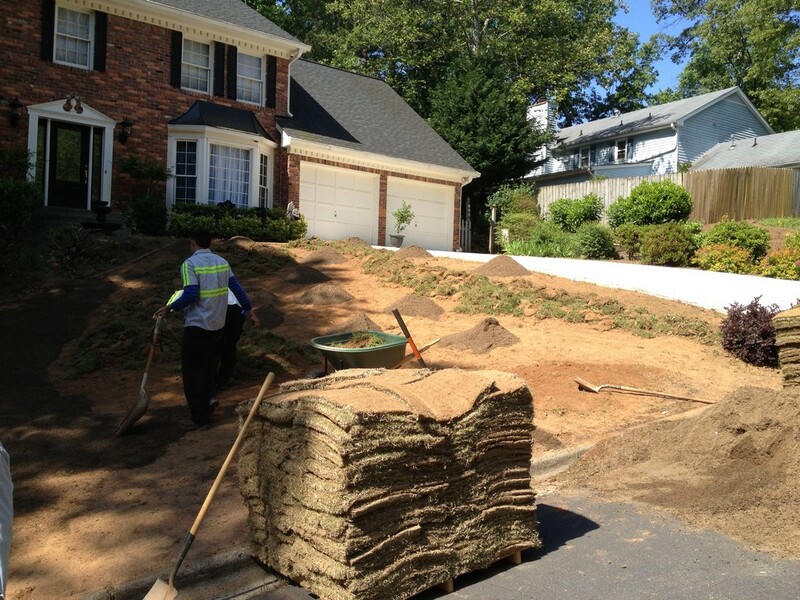 Level out low-lying areas by raking in additional soil. 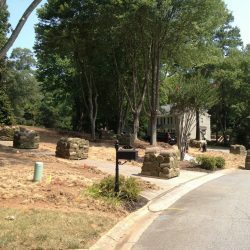 There are several key points of consideration for sod installation. 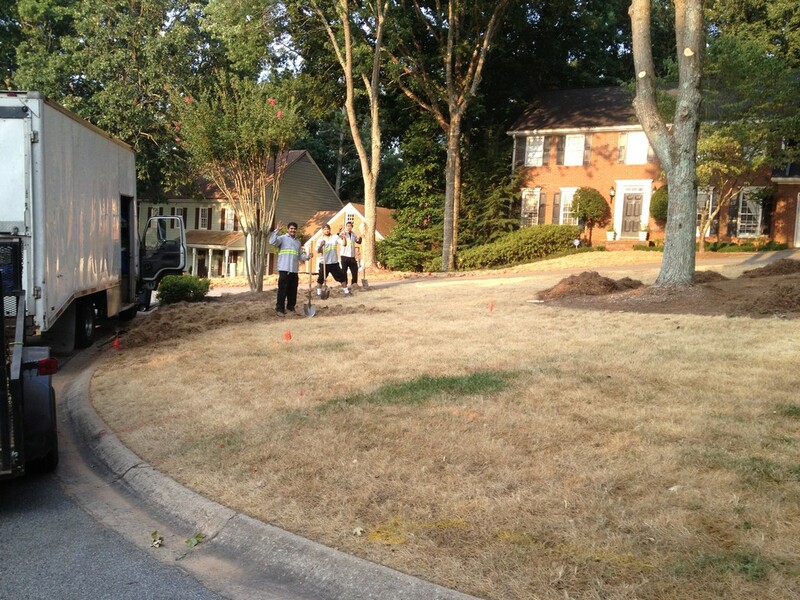 Warm-season turf can be installed either in or out of season. 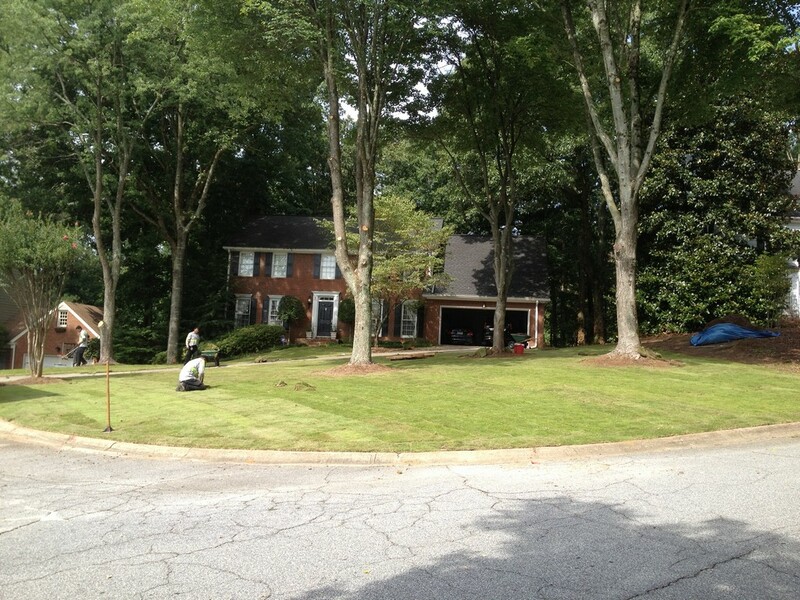 In the growing season, proper watering is key and most critical for establishing new turf. The first 21 days of growth are most critical and require timely watering to minimize drought stress and shock. The amount of water required for proper growth is determined by both heat and evaporation. It is important to remember that higher temperatures amount to greater water usage and evaporation, which can quickly lead to drought stress and decline. Discoloration and wilt are visual signs that drought stress is present, decline is in progress, and immediate attention is needed. 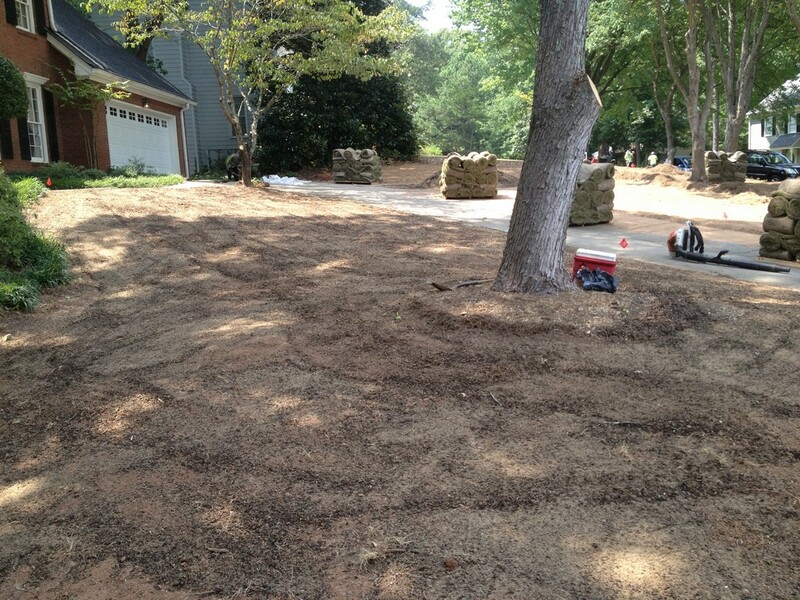 Upon installation, saturate turf and 3-4 inches of soil or seed bed with water. 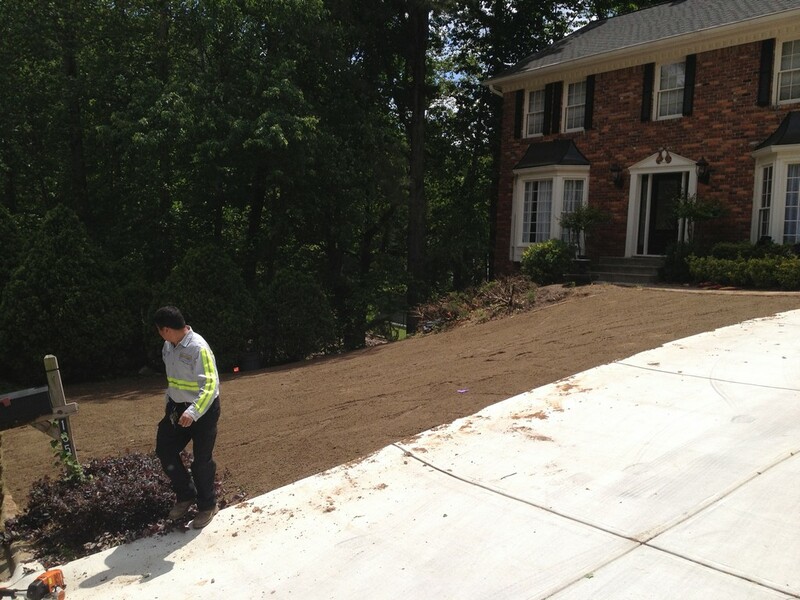 Thereafter, water the turf well to maintain consistent moisture in the topsoil levels. 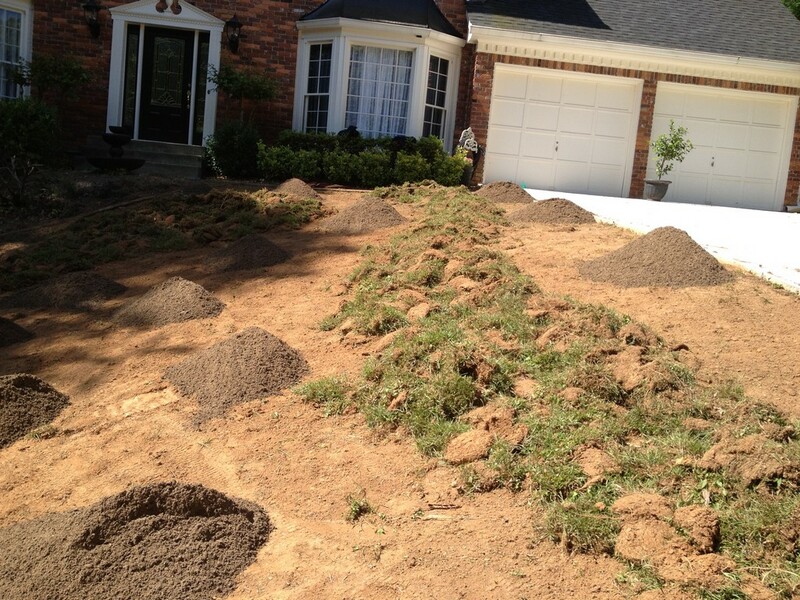 Monitor new turf closely until fully established. During the initial growth period, weed germination is highly probable. 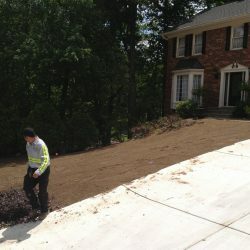 Freshly prepared soil and extensive watering will enhance weed germination. 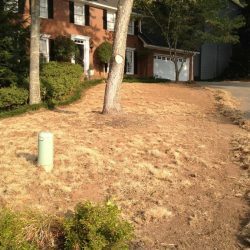 It is important to remember that the initial focus is establishing new turf based on its growth conditions and not weed control. 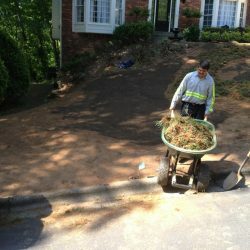 Once new turf is established, then the focus switches to weed control through pre- and post-applications, fertilization, and general maintenance. When irrigating turf-grass, it is important to consider such elements as turf type, soil profile, weather, and maintenance. Together, these elements supply and store water for plant nutrition. 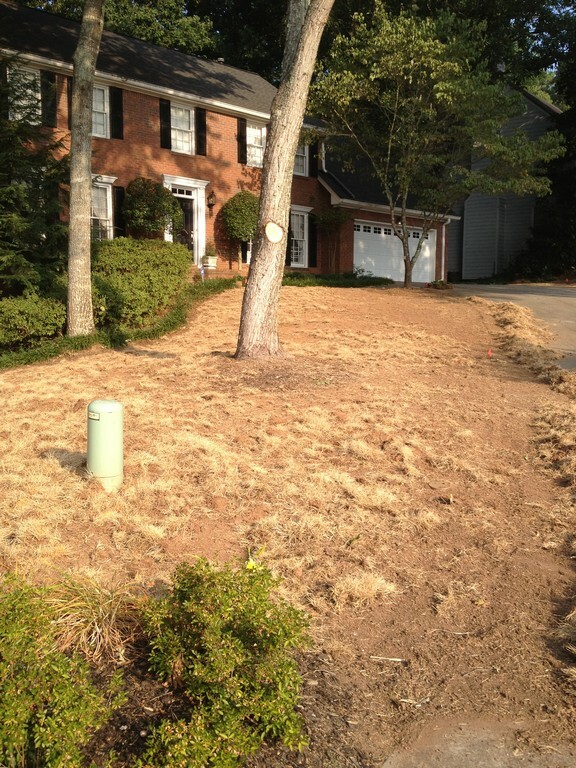 Discoloration and wilt are visual signs of drought stress and signal that water is needed. Proper irrigation should occur at these initial signs of stress. Reframe from short, shallow watering cycles. 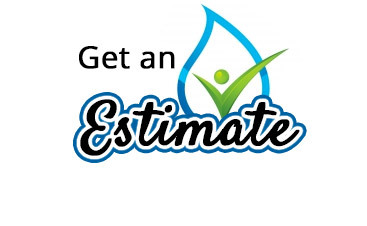 A proper irrigation cycle will add 1 inch of water, thereby replenishing 6-8 inches of soil with moisture. 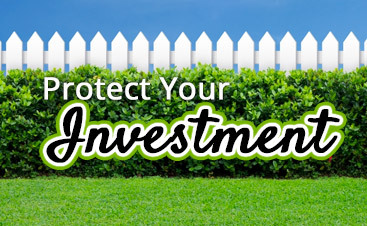 Generally, one or two irrigation cycles per week are sufficient for proper lawn care. The most efficient and effective time to irrigate is at either sunset or sunrise. Monitor turf closely and irrigate accordingly. 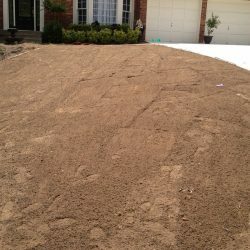 New lawn installation is so much easier and faster than starting your lawn from seed, so if you want to take advantage of your lawn as soon as possible contact WeedPro Lawn Care.